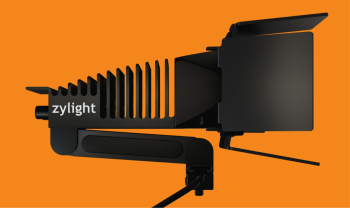 TheNewzis the nextgenerationon camera lightwith Quantum Dot Technology that certainly made headlines at NAB 2015! Zylights compact on camera light delivers everything you would expect from one of the most innovative companies in the Film and Television industry today.The Newzgives you the flexibility of fully dimmable, variable white color temperatures from Tungsten (3200k) to Daylight (5600k) allowing one to adjust the color temperature on the fly. By combiningtraditional phosphorwith a custom blend of Quantum dot technology theNewz impresses with a CRI of up to 95 and a quality of light matched only by traditional sunlight and incandescent bulbs, while using a fraction of the energy. Very Portable, Use it Anywhere!